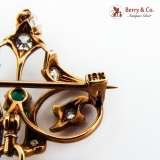 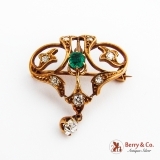 Art Nouveau Ornate 14K (.585) Yellow Gold Brooch/Pendant White Sapphires & Emerald c. 1900. 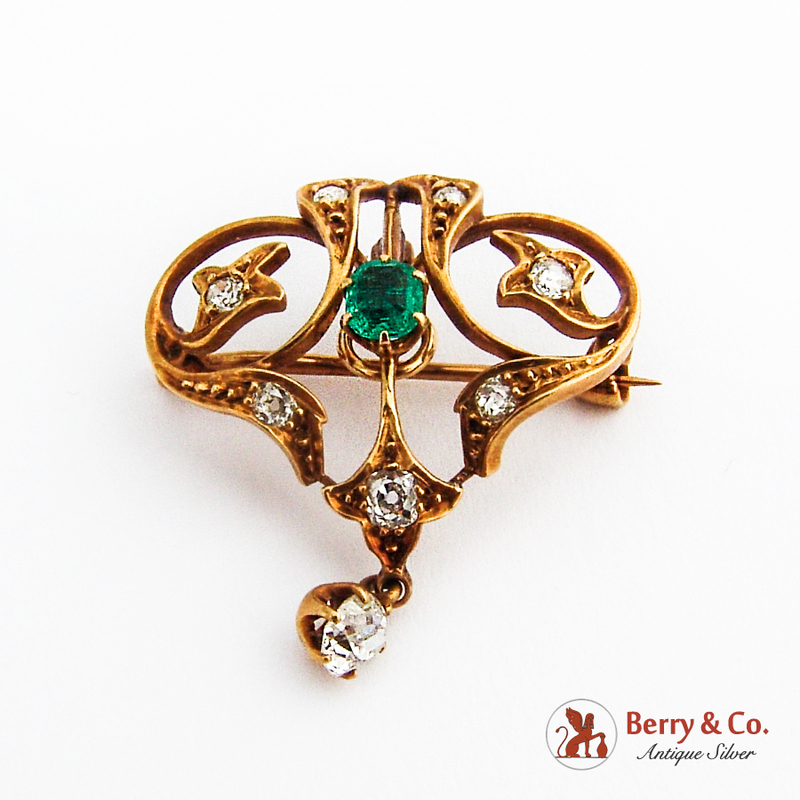 This majestic brooch or pendant is 1" long and wide and weighs 4.5 grams. 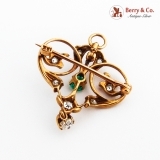 The spinning part of the clasp is missing.